 The economic crisis initiated by Hungary's George Soros hit Malaysia and the rest of Asia. The Thai Baht was the first to be devalued then the ringgit. People lost their jobs. And the most noticed things were the abandoned projects. Towers stucked halfway in air, cranes stopped moving and the construction sites experienced silence. But then, Malaysia shows that it could survive by successfully hosting the commonwealth games in 1998. The world also witnessed the grand launch of the Petronas Twin Towers. 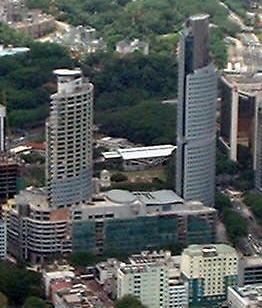 Menara Telekom erected up to more than a 1000 feet. More shopping malls built. More tourists flocked into Malaysia which made it listed in the top 5 countries in the Asia Pacific region with the most incoming tourists at 10 million visitors a year. ALL MALAYSIANS PRAY THAT THIS YEAR WILL BE MUCH BETTER. Maju Perdana Tower 1 actively under construction. 33/34/35/36 storeys. The towers will be anchored by a huge shopping mall which is also on it's way to completion. Novotel. Halted last year. Now resumed! Plaza Rakyat. You know this building. Due to the Asian economic crisis, the construction was stopped till the last time I saw it earlier Dec 2001. If it is to be completed, it will have the WORLD'S LARGEST AND LONGEST shopping mall. I'm very sure that it will resume very soon since a neighboring building Puduraya will be evacuated of its current operation as a bus terminal. 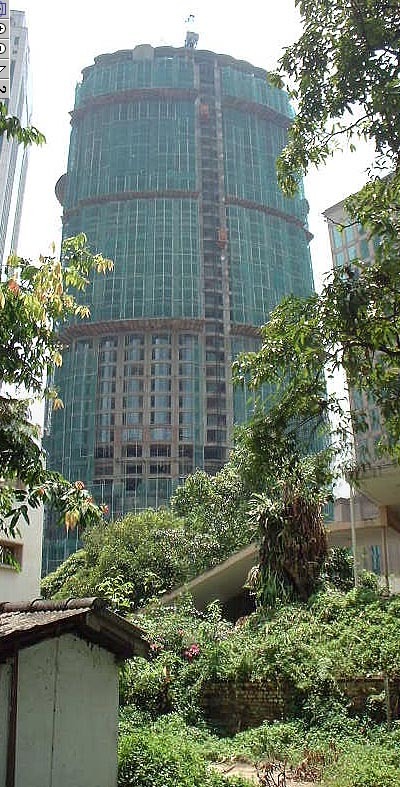 When its construction was active few years ago, it was already crowned as the world's 7th tallest at 79 storeys. Westin Hotel. 38 storeys. To be completed very soon. A very good addition to Kuala Lumpurs most visited shopping street, Bukit Bintang. Wisma DNP, a shoping mall that will complement Suria KLCC, the Golden Triangle largest mall. It also will be having a main tower. I'll report on it later. Cygal Towers. Construction recently resumed. The tallest tower has 33 floors over the ground and the other 2 22+. 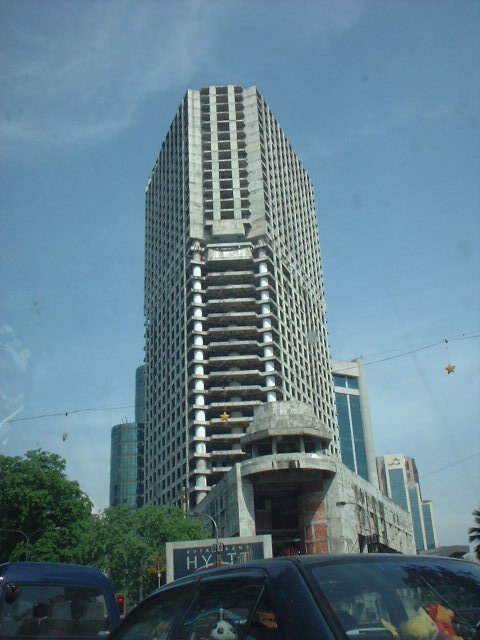 1) Construction in Kampung Baru. A pretty tall one. 2) Hilton KLSentral and a Japanese hotel which their construction is still going on. 3) MidValley condominiums. 2 towers. 4) A building construction behind Menara Genesis near Renault showroom at Jalan Bukit Bintang. 5) Construction to double up the size of One Utama, the largest shopping mall outside KL. 6) Addition of floors to a particular building around Petaling Street. 7) Condo construction at Mon't Kiara. News said it'll be 43 storeys. If you have any information of any of those constructions or any missed or new ones, email me. Thanks first!